If you’re new to Chicago Strength & Conditioning, our Intro Barbell Clinic is for you. The Intro Barbell Clinic is suitable for both new lifters and those with more experience who just want to get their form checked by a Starting Strength Coach. The Intro Barbell Clinic is a two-hour private session with a certified Starting Strength Coach that will teach you to properly and safely perform the foundational barbell lifts: the squat, press, deadlift, and bench press. Over the course of the clinic, we also teach you the fundamentals of barbell training: how to warm up, how to choose your starting weights, and how to arrange all of this into a program that will help make you happy, healthy, and strong. If you’re serious about starting your strength journey, then working with a certified Starting Strength Coach is guaranteed to help you do it correctly, right from the start. You will save valuable time in the gym by avoiding the common mistakes, frustrations, and injuries that plague lifters who are doing it on their own. 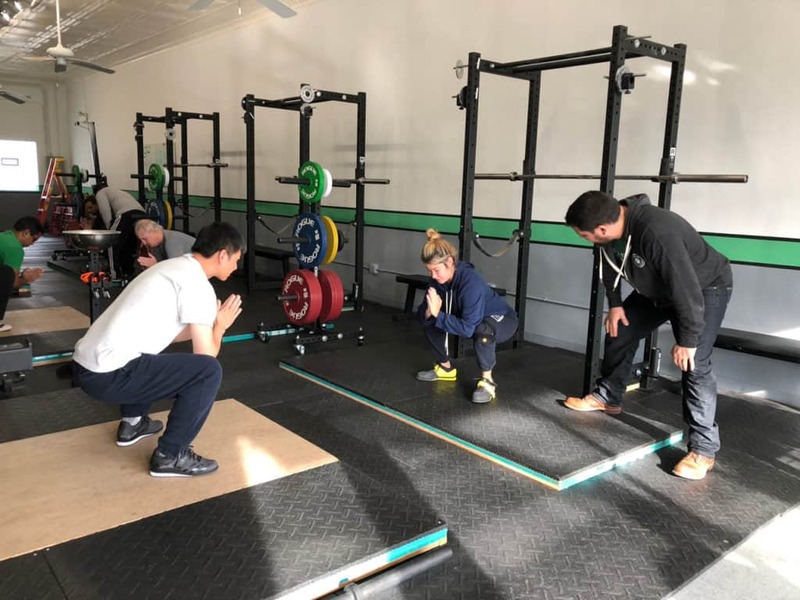 Attendance at an Intro Barbell Clinic (or one of our five-hour onboarding packages) is required for all members to ensure they can train safely and effectively in a small group setting. Ready to Book Your Intro Barbell Clinic?